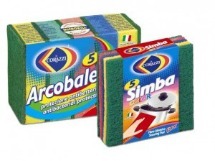 Corazzi Fibre offers a wide range of articles for house cleaning and body care under Corazzi own brand. In addition, the company owns a peculiar flexibility in the manufacturing of private label products. 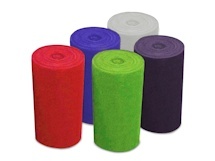 Fibre and abrasive sponge in rolls and cut are supplied to industries and converting companies for further processing. 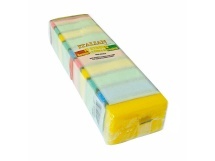 Corazzi Fibre offers a wide range of articles for house cleaning and body care. Such products, diversified upon quality, innovative concepts and surfaces to be treated, satisfy even the most demanding customers. Corazzi Fibre supplies converting companies with its wide range of abrasive fibre, available in several sizes and even coupled with sponge, suitable to be further processed. Corazzi Fibre is the ideal partner for both brand-name manufacturers and distributors of brand products.